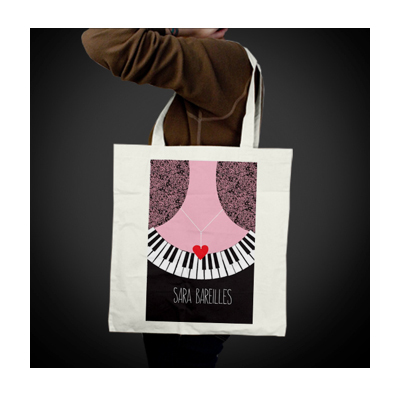 Sara Bareilles, the Grammy-nominated singer, muscian and songwriter contacted us to design and entire new suite of merchandise for her 2011 world tour. We were, of course, stoked! 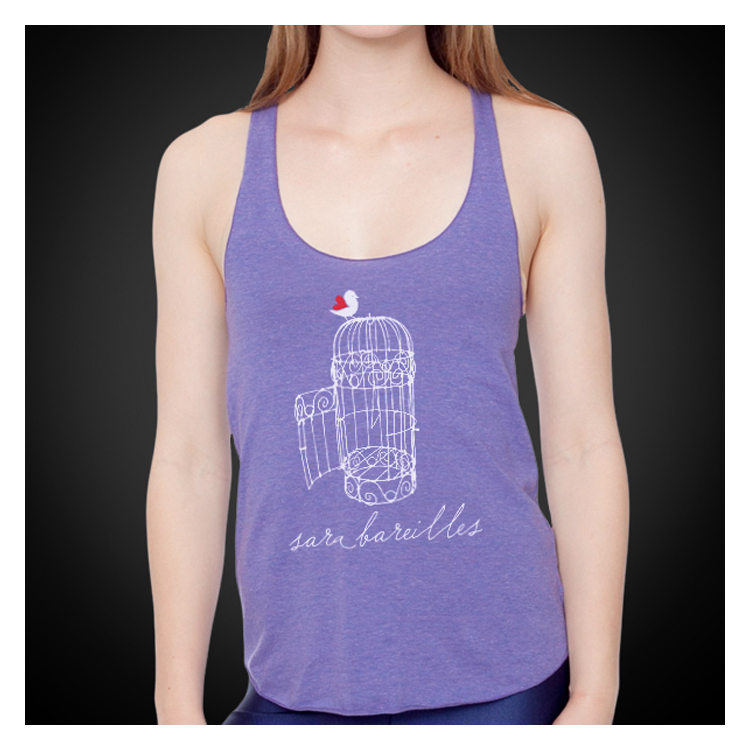 To say the least. 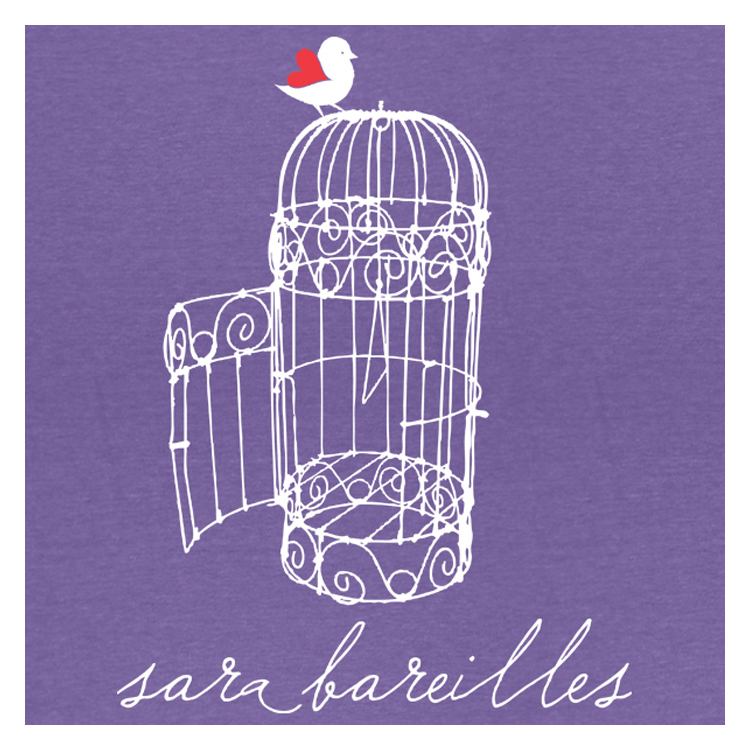 Working directly with the artist as well as her very dedicated management team we created a cohesive set of merchandise across item pieces for Ms. Bareilles to take on tour as well as to be made available for sale in her robust web store. 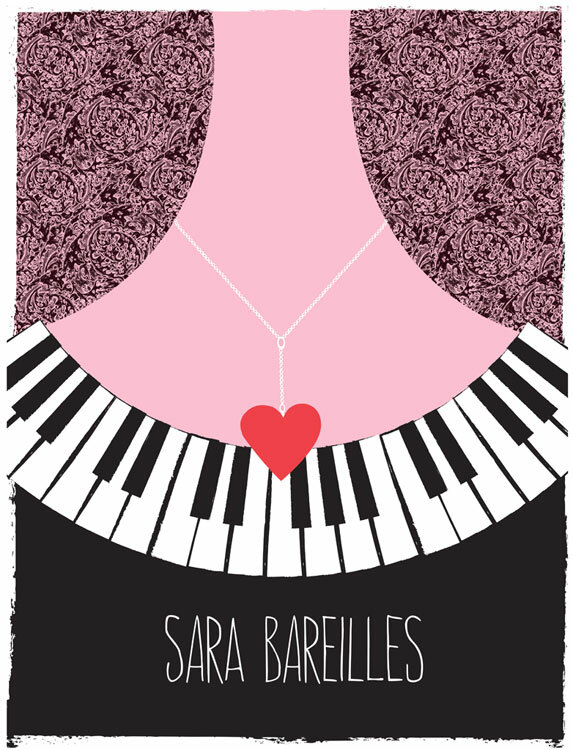 Seen here are the Tour Poster, Tank Top and Tote Bag final pieces after many back-and-forth rounds of designs & illustrations until every piece was just right.